We now have ‘Get Started…’ missions in all major products. Each mission will have a series of 6-10 checkpoints for you to complete. Missions have been created to give you control over designing and launching any CadmiumCD product your organization has purchased. Within the ‘Get Started…’ mission, there is a ‘Basic Training’ checkpoint. 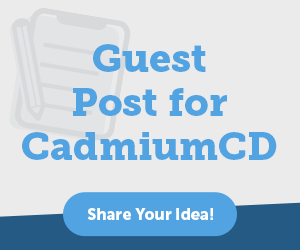 If you are new to CadmiumCD or the product you are completing the mission for, take advantage of receiving a 15 or 30 minute basic overview training before the kick off call with your Project Manager. Within 48 hours of the hard cutoff date for the submission site, urgent boomerangs for the Scorecard are free. This means you do not need to spend myCadmium points on urgent boomerangs when your submission site is closing. This only accounts for the Scorecard, and will not affect urgent boomerangs for other products. Within the Photo Task, users can now crop their speaker photos upon upload. As speakers upload and crop their own photos, the user’s properly cropped and sized photo to be available for attendees immediately. The main screen editor for the Mobile App has entered into beta testing. If you are interested in participating in the test, please contact your Project Manager today! If you are not a beta tester, you will still be able to preview the main screen for your Mobile App. This new feature gives you the ability to copy push notifications that were previously sent in a past event. Gone are the days of re-typing the same push notifications year over year! Be on the lookout for another tool coming soon, allowing you to import a spreadsheet of push notifications. 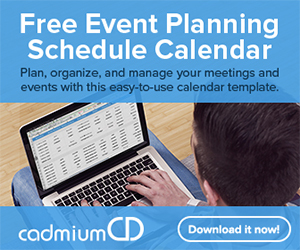 Similar to the Scorecard, you now have the ability to schedule emails, have access to better documentation and training materials, an updated rich text editor, hotkey library, and the ability to send an email to an advanced distribution list.